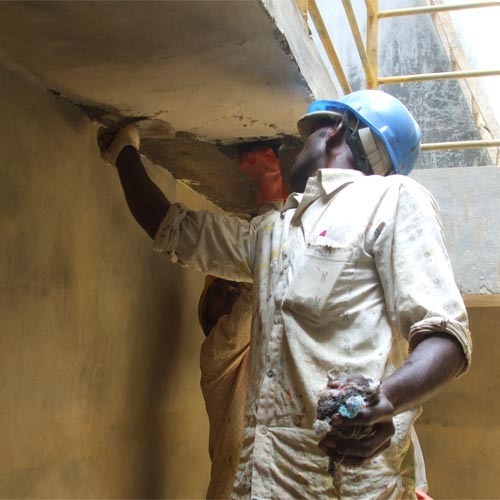 As per the requirements of the patrons, we are presenting the best quality array of Chemical Resistant Epoxy Mortar Service to our prestigious clients. This epoxy mortar service is available with various options. Moreover, we believe in offering complete satisfaction to the clients and for this, we provide epoxy mortar service as per client need. Our company came into existence in the year 1973 and since then we have been actively involved in customized formulations and specialized contracts. All our products are time tested and carry the tag for the highest quality. We have a group of trained applicators and all our works are covered under warranty. We involve in site inspection to drafting of specification to execution of job.